Disasters like hurricanes, tornadoes, floods and earthquakes can strike with little or no warning. 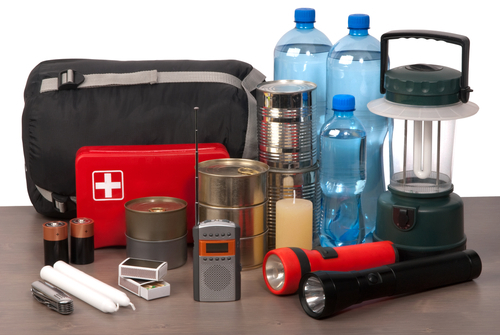 To assure that you and your family are prepared, there’s no time like the present to create emergency kits: one for use if you need to evacuate your home and one for use if you get trapped in your home for several days. For more ideas on how to prepare your entire family for an emergency situation, visit: www.ready.gov/make-a-plan.